As of January 1st, 2018, all of our standard products are changing from 49″ x 97″ and 49″ x 121″ uncut to 48″ x 96″ and 48″ x 120″ cut to size. All of our products will now come trimmed and square on all edges. Thank you! 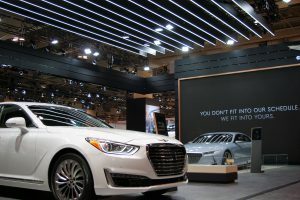 For this high end car dealership, Think Lightweight manufactured the overhead beams. We machined a groove to inset the LED lighting. The extra design efforts and details helped win this booth Best Booth of the Show! We’ve moved in! 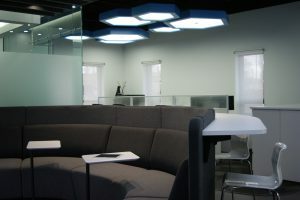 Check out our new Headquarters that feature a variety of products made in-house! 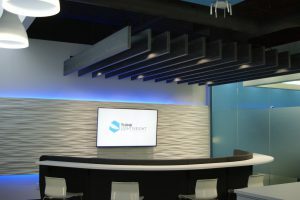 The cloud of laminated beams, our over-sized custom suspended light features; the creative look and feel fits perfectly with our culture as we continue to help our customers expand their design abilities with our lightweight panels and engineered solutions! Please ask to come visit us to see the rest of our manufacturing process and offices! We would like to thank everyone at the IWF that helped make our show such a successful one! With such positive feedback from our users, we look forward to working with you and developing solutions for your lightweight panel needs. 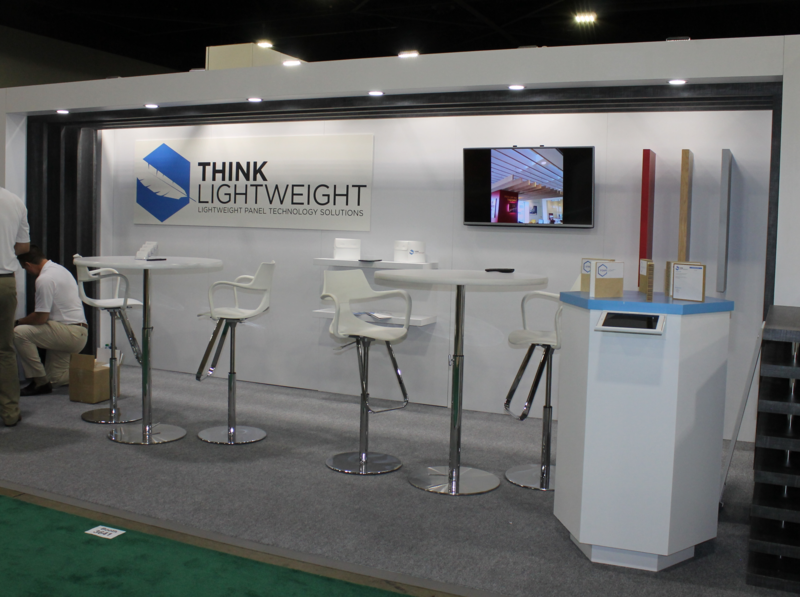 Also, thank you to our team that created our attractive booth 100% out of Think Lightweight products! The Edmonton Space & Science Foundation, a non-profit organization were looking for a cost effective wall system for their latest Sherlock Holmes exhibit and were pleasantly surprised with our lightweight wall solution. Thinklightweight was able to meet their design needs, scheduled time frame and shipped across Canada all within their target budget! 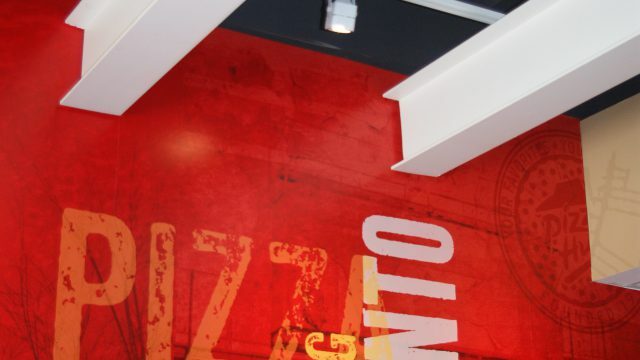 Lightweight panel technology fulfilled the design requirements of creating a long, unsupported ceiling to cover the booth and integrate overhead lighting for this high profile phone provider, Bell Canada. The walls were also made out of lightweight material which made it easy to install and move as needed.